Nottinghamshire are back in Specsavers County Championship action this week when they host Somerset from Thursday 11th April 2019. 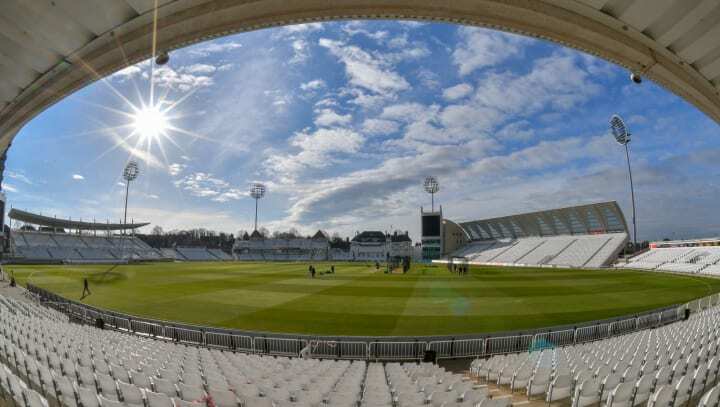 Notts began their season with a draw against Yorkshire in their opener but face a side coming off the back of a fine victory at home against Kent. Nottinghamshire and Somerset have met on 129 occasions in first class cricket, with the west country side having the overall edge in terms of victories. Somerset have defeated Notts on 36 occasions, including all of the last six meetings. The East Midlanders have won 31 times and the other 62 matches have been drawn. Notts have hosted the contest 65 times with all but three of the meetings being played at Trent Bridge. In 1961 and 1965 the fixture was staged at Worksop’s Town Ground and in 1968 they met at Elm Avenue, Newark. In home matches Notts have been victorious on 19 occasions, most recently in 2009, 2010 and 2014. Somerset have won 13 times in Notts, including successes on each of their last three visits, being victorious in 2015, 2016 and 2018. There has been a total of 33 draws, most recently in 2011, 2012 and 2013. The two county sides met at Trent Bridge last September for the final match of the 2018 season. It was a contest that the home county will want to erase from the memory banks, as the visitors produced a ruthless performance to celebrate confirmation of their runners-up spot in the final Division One table. James Hildreth scored 137 as the Cider Men rattled up a first innings score of 463, despite Harry Gurney recording figures of six for 106. Abell recorded a first innings hat-trick – the first by a visiting bowler at Trent Bridge since Chris Tremlett, for Hampshire, 13 years earlier. Unthinkably, the gap between Abell’s feat and the next visiting hat-trick was precisely one day, as Overton repeated the feat – incredibly thanks to three consecutive catches at second slip by Marcus Trescothick. The eventual margin of victory was an innings and 146 runs. 1893 | The third morning of Nottinghamshire’s match against Somerset at Trent Bridge in 1893 saw fast bowler Frank Shacklock re-write the county records. Dismissing Spurway, Gibbs and Newton in Somerset’s second innings, he became the fifth man to take a hat-trick for Notts. The next ball though, he went one better, making it four in four by removing Trask. All four Somerset batsmen had been dismissed the same way– clean bowled. 1966 | Saturday 31st July 1966 – whilst England’s footballers were defeating West Germany at Wembley to win the World Cup Final, the cricketers of Nottinghamshire and Somerset were opposing each other in county championship action at Weston-super-Mare. Notts won the toss and batted on that Saturday, reaching 243 for nine by stumps, with half centuries from Mike Smedley and Ian Moore. Although lots of portable radios were in the ground, there was a distinct lack of televisions in the Clarence Park pavilion, to follow England’s progress. 1972 | Left-arm quick bowler Barry Stead, one of the great characters of the game, took 653 first-class wickets, with a best of 8 for 44 which came in 1972 for Notts against Somerset at Trent Bridge. His performance included a hat-trick of Roy Virgin, Richard Cooper and Brian Close. 1976 | Scoring Nottinghamshire’s highest individual score in 24 years, Derek Randall made 204 not out on the opening day of a championship match against Somerset at Trent Bridge in 1976. Sadly for the Retford-born batsman, the outcome of the contest failed to make it a milestone worth celebrating. Chasing 301 to win on the final day, the visitors romped to a six-wicket win thanks to a stunning maiden century from Ian Botham. The 20-year-old, showing an early glimpse of the form which would typify much of his career, blazed his way to 167 not out, with 20 boundaries and six maximums. 1987 | In the 1987 clash at Trent Bridge Richard Hadlee became only the second Notts player, following John Jackson 124 years earlier, to score a century and pick up two six-wicket hauls in the same match. He hit 101 in Notts’ first innings, either side of collecting six for 41 and six for 42. For good measure his unbeaten 23 saw Notts over the finishing line to record a five-wicket win. 2011 | Alex Hales’ scored 184 in the 2011 match at Trent Bridge, an innings that saw him rewarded with his county cap the following day. Vernon Philander spent the early part of the 2015 season with Notts and took 16 wickets, with a best of four for 56 in the five first class matches in which he participated. He also contributed 177 runs with a best of 41. The South African quick bowler had previously spent part of the 2012 season with Somerset. He also appeared in 5 first class matches for the Cider Men, scoring 62 runs, with a top score of 38 and took 23 wickets with a best return of five for 43. Others to have played for both Nottinghamshire and Somerset in recent years include Matt Wood, Ben Phillips, Neil Edwards, Simon Francis, Kevin O’Brien and Dirk Nannes. Chris Nash (11,929) is nearing 12,000 first class runs. Steven Mullaney (6,881) is approaching 7,000 first class runs. Stuart Broad (4,925) is 75 runs away from 5,000 in first class cricket. Tom Moores has taken 49 first class catches. Luke Fletcher (299) requires one more wicket to become the 44th player to take 300 first class wickets for Nottinghamshire. Steven Mullaney has taken 96 first class wickets, 95 of them for Nottinghamshire. Mike Taylor played for Notts between 1964 and 1972 before leaving to joining Hampshire. During a similar period Mike’s twin brother, Derek, was Somerset’s wicket-keeper. The brothers were born in Amersham, Bucks in 1942 and given the respective initials MNS and DJS – in each case the S stands for Somerset!